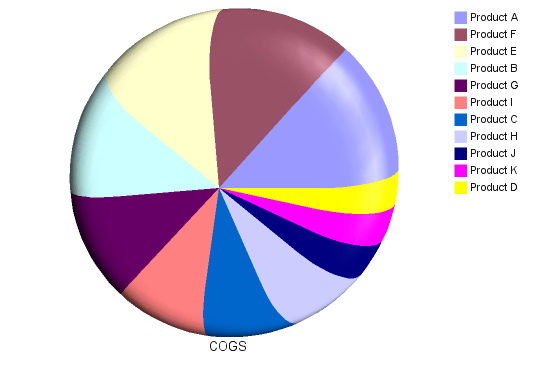 Pie charts are notoriously ill-suited for displaying more than 2-3 different parameters. Notice how difficult it is to understand that lollipop chart. A bunch of products have similar COGS. 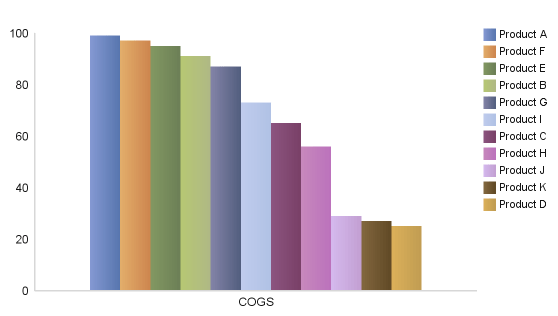 The chart not only hurts your eyes, but it is unusable. Here is a different option. Same data....different perspective. This actually makes sense. I am not a fan of 3D charts. 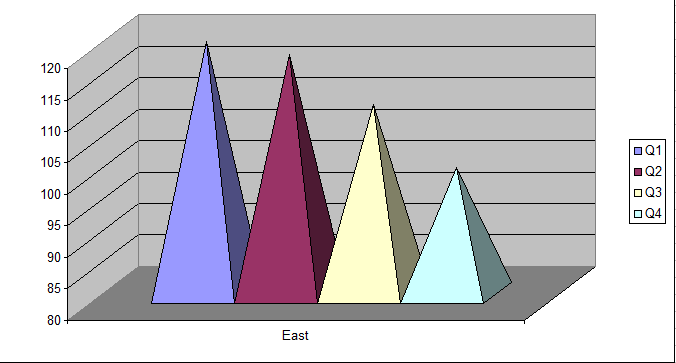 Using a pyramid chart is like adding insult to injury. 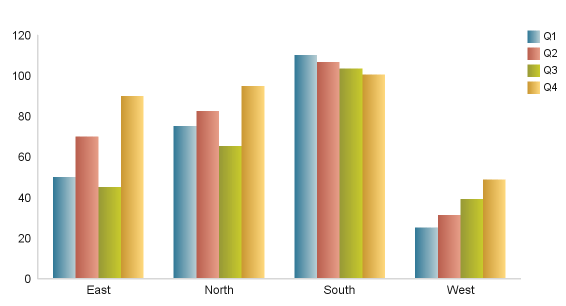 Not sure that I will ever understand why one would use a pyramid type shape to visualize data. 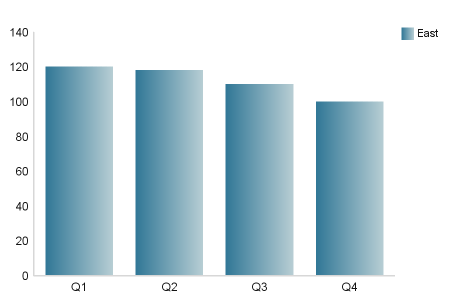 Anyway….The chart further gives the impression that Q4 revenue has dropped by 50%. The y-axis starts at 80 instead of 0. This is a big mistake as our brain compares the relative sizes of the objects. Here is the better version. The line chart implies that the performance is terrible – it drops. Is that really so? The answer is no. Line charts provide a sense of continuity (time). We should therefore never use a line chart for values that do not belong together. 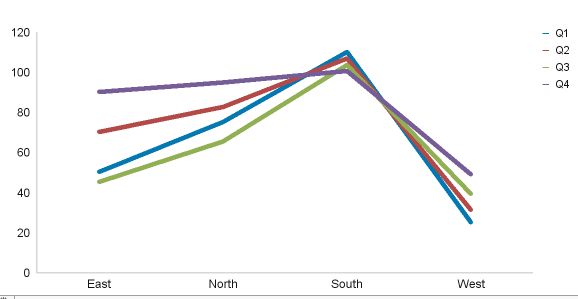 But chart 3 connects different regions in a line. This is wrong. Depending on what we are trying to analyze, we could draw the following chart.